I started taking piano lessons again after a break of 15 years with a view to working for a performance diploma. As an “older learner” I have come to suffer more and more with practice and performance anxiety and was finding it difficult to manage up to 3 hours practice a day with a houseful of people listening in whether they liked it or not or whether I liked it or not. I was fortunate to find an excellent teacher who has been an inspiration. I wanted to upgrade my piano and she suggested the Kawai ATX as it is a fine acoustic piano plus has digital capability. I had no idea such a thing existed! It has made a tremendous difference. I can now use either “version” and practise anytime of day or night, disturb no one, practise in private if I feel the need or practise performing to anyone who happens to be around. Brilliant! 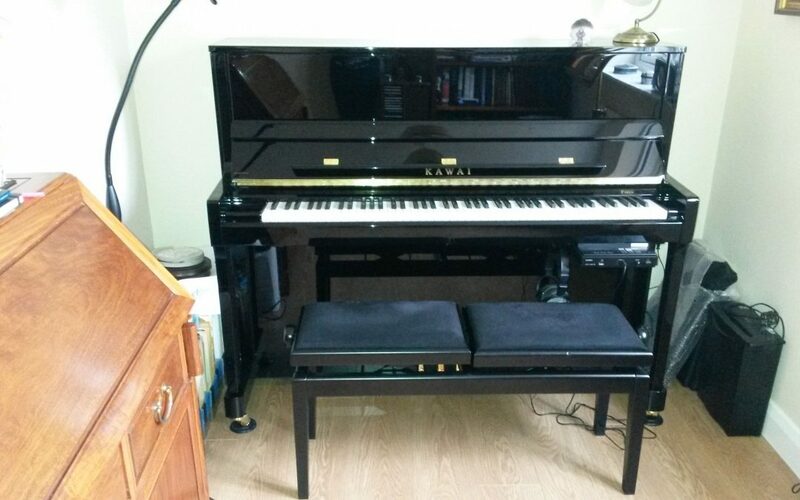 I was already having my original piano tuned by Ben’s team and after talking to him about a new instrument he ordered in a Kawai ATX for me to try with no obligation. I was quickly hooked and remain absolutely delighted with my choice.